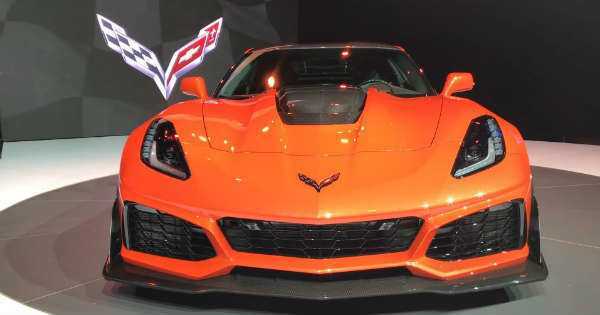 Here’s Why We Love The 2019 Chevy Corvette ZR1! - Muscle Cars Zone! Here’s Why We Love The 2019 Chevy Corvette ZR1! The major progress into the car manufacturing technology has enabled many companies to create some absolutely amazing and unique vehicles. This basically means that if you want to keep in touch with your rivals, you must be innovative and offer something to your customer that is brand new and one of a kind. This was surely the case with the car we are about to see in the following video. This car is as good as it can get and we take you through everything you need to know about it. The world went absolutely crazy about it ever since it was first announced for production. Of course we are talking about the one and only 2019 Chevy Corvette ZR1. The car became an instant hit, and our friend Doug DeMuro travelled all the way to Dubai, where the car was unveiled for the first time. First things first, we would all love to see what is under that oddly shaped hood. It has a monstrous 6.2L supercharged V8 engine that is able to create whooping 755 HP. But the fun part does not stop here. Moreover, we get to hear this awesome powerful engine performing revs for the first time. It sounds absolutely amazing! The 2019 Chevy Corvette ZR1 comes with a standard 7 speed manual transmission but it is also available with an 8 speed manual transmission. The car also comes with the standard carbon ceramic brakes. If you want to know more about this awesome car, make sure to check out the full video! At last, if you are into RC cars, then follow this link to see this rocket-powered RC Corvette!